I've been up to a little something and I couldn't be more excited about it. 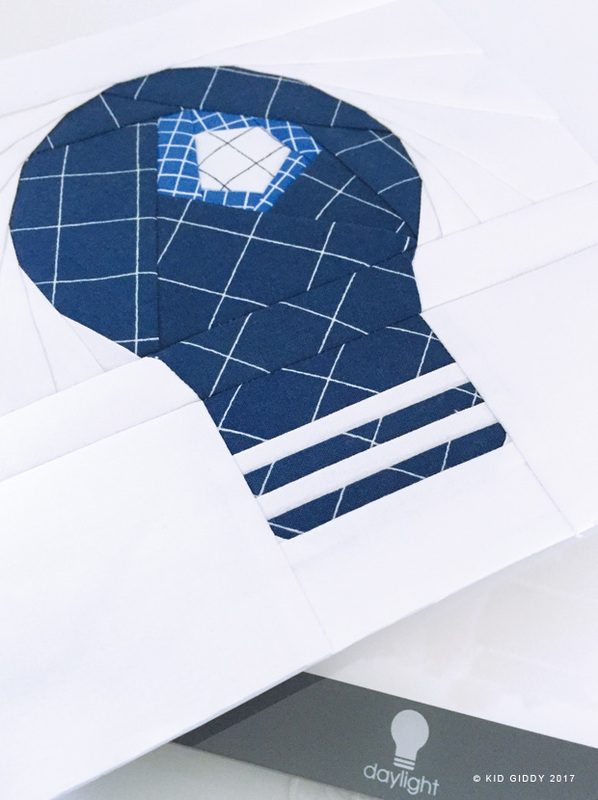 Quilt market is always fun, but it's even more fun when you can connect with a group of folks with an awesome product like Daylight Company and instantly hit it off. Well, mama's got a brand new toy and no longer has need for taping anything to any window. If you haven't heard of the Wafer Lightbox yet - you have to check it out. This Wafer light box is so thin and portable and amazing! My mom used to make her own (huge) light boxes (because she was an art teacher but also worked at the Color Place and did layouts and such, and taught kids how to make their own). But I have never had time for that, nor have I ever had the tools to make one or space to keep it. I walked into their booth at market and started asking loads of questions because I wanted to leave market with one in my hands. Then some friends came up and it was an instant party. Nicole from Modern Handcraft was there because she is one of their Brand Ambassadors and the more we talked the more I knew I wanted to work with this company. 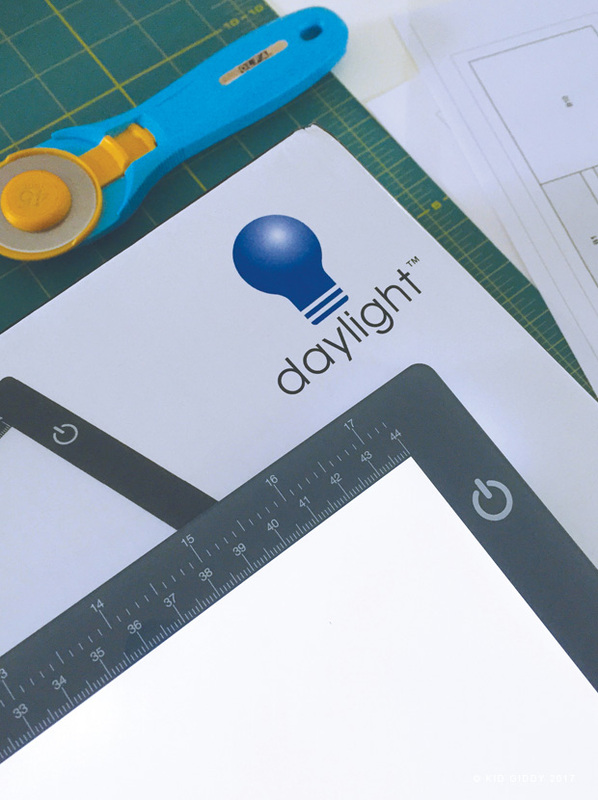 I'm excited to say I am now one of the Daylight Company Brand Ambassadors too and I just had to make them a little block of their Daylight Bulb Logo to say thank you. I wanted to capture the general color in the fabric, but also the glow of light in the logo. The bright spot was improv so they can show customers at shows some of it was paper pieces and some was sewn prior to starting the block. I did a little Instagram story showing how it can be really bright or just a little bright which is great because during the day there is so much light in my studio it's hard too see unless the tablet is really bright. But at night - I won't need it at 100%. I'll try to see if I can upload that here. I hope you'll have to check out all of the other lamps and lights they also have on the Daylight Company website - I'm eyeing one of their floor lamps now that my eyes are having trouble seeing tiny needles and hexies in the dark. Please be sure to sign up for my emails to get info about new patterns, new Sizzix dies, future sales or coupons and other fun stuff. 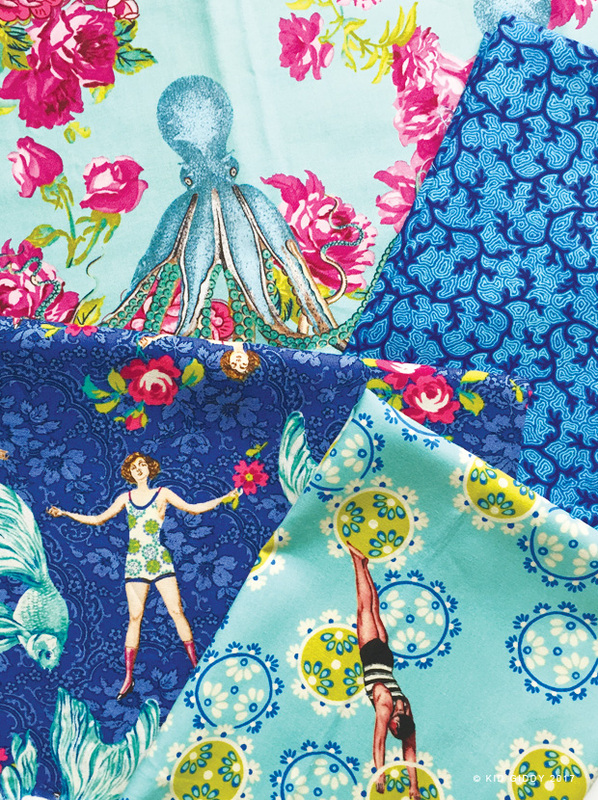 Nancy over at Free Spirit graciously asked me to make something with their newest fabric designer's line "Neptune and Mermaid" by Toyko Milk. There's so much I'd love to make with it (because it's just that versatile), but I started off with this fun in the sun, Beach Tote bag. My daughter's love it so much, they each want one, which shouldn't be a problem since there are so many possibilities with all the beautiful prints. This tote bag has 4 large pockets, one on each side and one in the front as well as the back. I used some Soft and Stable from ByAnnie to keep it from flopping over in the sand (because no one wants sand in their bag). 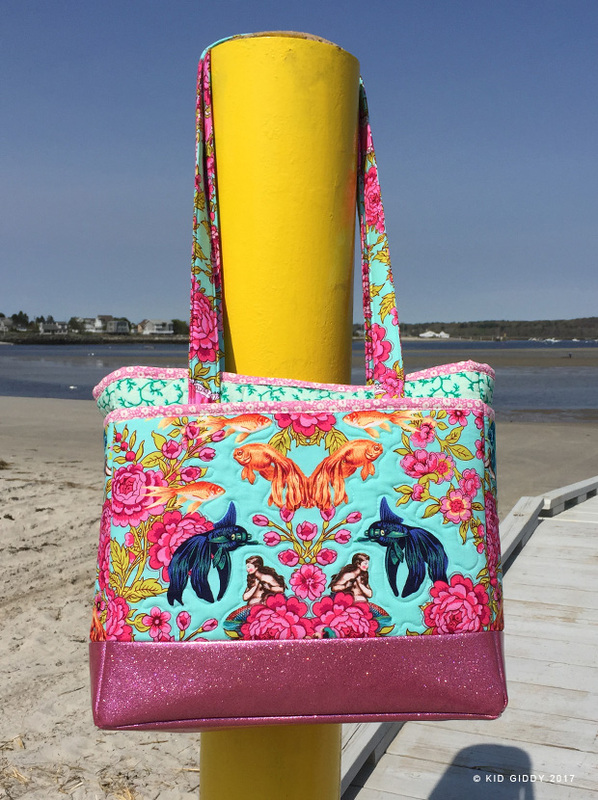 I also decided this fushia glitter vinyl I purchased from SewSweetness was the perfect match for the flowers in this "Lost Atlantis - Aqua" print and perfect for keeping the water out of the bottom of my bag. Salt water and sunshine are the two worst things for vibrant fabrics - so I'll be sure to keep it dry and behind my beach chair during future outings. I kept the FMquilting simple by following the organic movement of the fish, flowers, and mermaids to accentuate them a little more. I accidentally sewed the straps onto the bag across from each other, and had to quickly correct that, so when you are making a bag of any kind...don't pull a Kerry on your straps! lol. And PSA: don't use a thin needle like I did with your vinyl! Sara told me I should have used a denim or leather weight needle and would likely not have broken two needles...if they were thicker. I'm currently debating which prints to use for the next tote bag but think I'm sticking with these. I love the bathing suits in the Song of the Siren/ What Would Poseidon Say? prints and love the aqua with the lime green colorings. Of course I also still love those pops of pink flowers too. 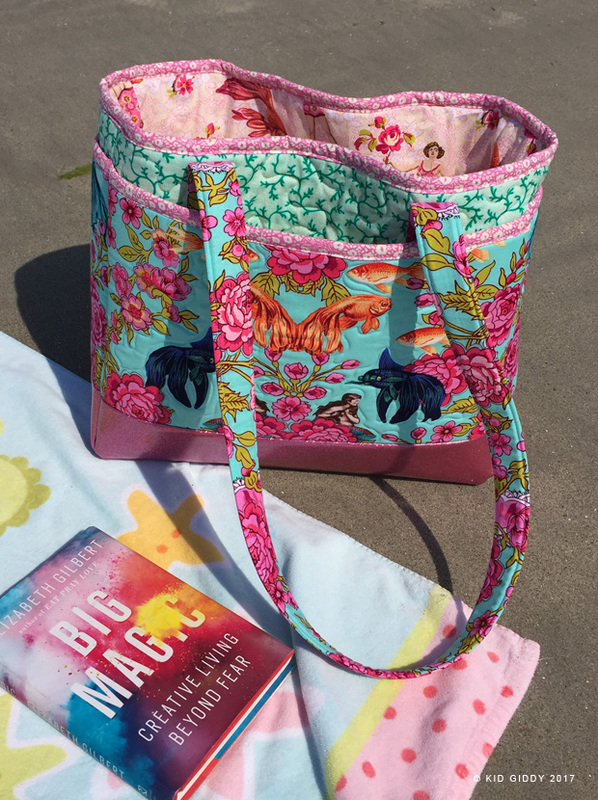 I'm so excited summer is coming right around the corner and excited to bring my new beach tote with me for a day of relaxing! Thank you to Free Spirit for allowing me to work with these gorgeous fabrics and to ByAnnie for providing me with Soft and Stable whenever I need it! I appreciate you for stopping by and reading up on all my goings on. Please be sure to sign up for my emails to get info about new patterns, new Sizzix dies, future sales or coupons and other fun stuff. Sometimes the best laid plans are still not enough to give me more time on the clock. 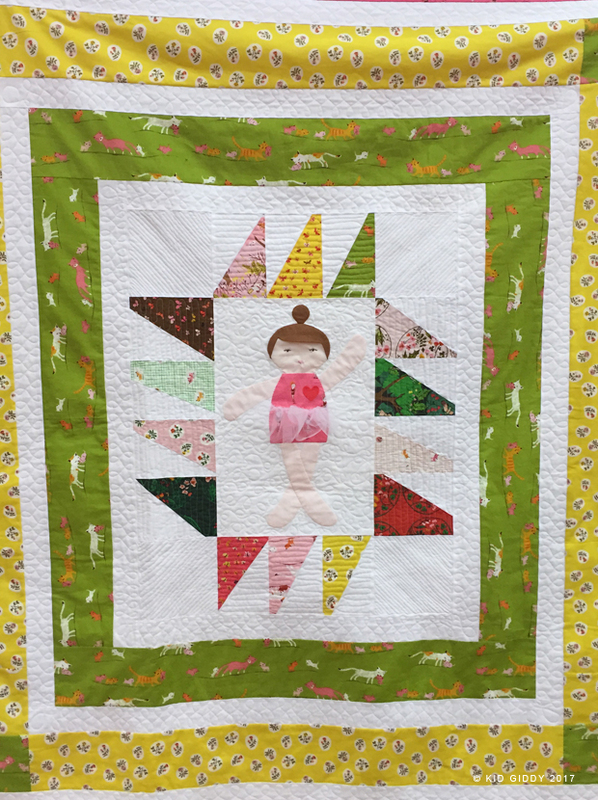 Last year I finally got around to finishing my Ballerina Doll Quilt, but wanted to have even more fun and make 9 applique doll blocks to put into one huge quilt. I thought there might be some other sewists out there that would join me in sewing together. You can make your blocks into a quilt as I am planning on doing, or you can make 9 different blocks and use them individually. As individual blocks, they could be great as tools in a Homeschool or Montessori style class room. 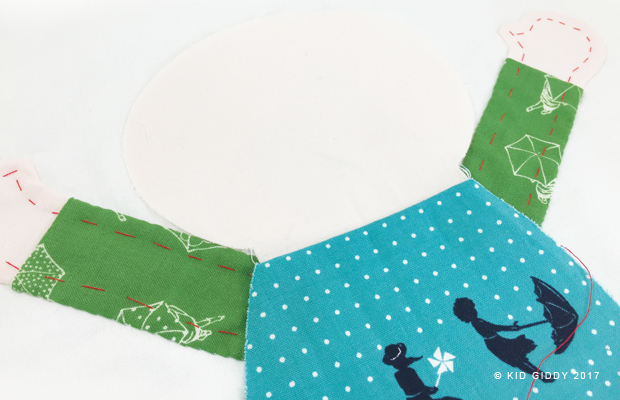 They can be fully sewn or made to be a "get the doll dressed" style block that helps to teach specific skills. 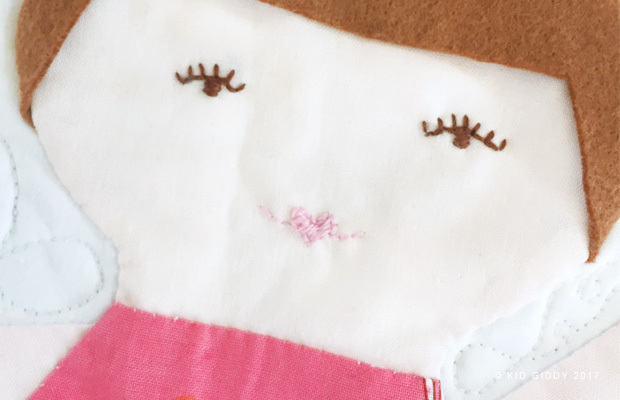 This is the first Kid Giddy Doll Applique block using my Kid Giddy Sizzix Doll die for a fun 9 block quilt along I'm hosting throughout the rest of the year. This first block represents April Showers. You can make each of your blocks similar to mine, or you can create your very own blocks. 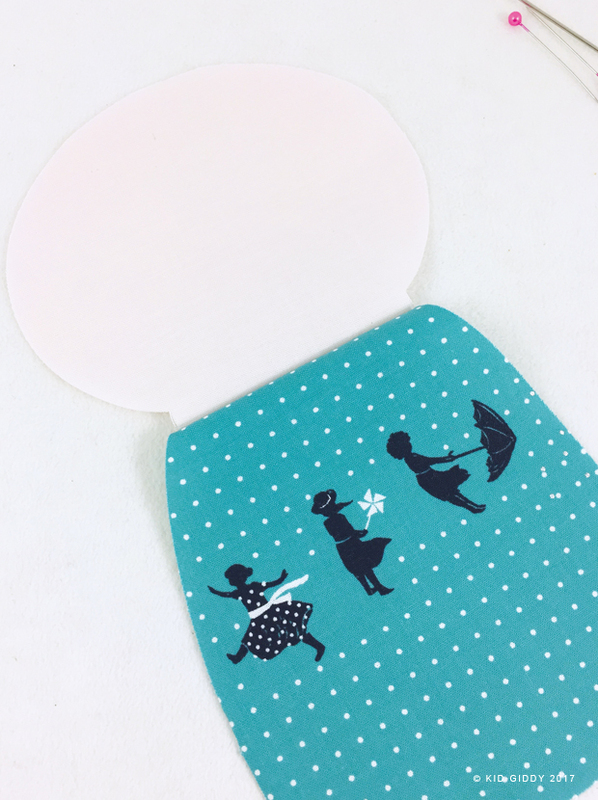 Later on, some of my blocks may use a combo of the Sizzix Kid Giddy Doll die (for the head and body) and the Sizzix Kid Giddy Fox die (for the arms and legs) as I did for the first Ballerina Doll block above. In order to use the die, you'll need a Sizzix Big Shot Machine (if you can get the Big Shot Plus - you can use all of my dies on it) and the BigZ XL 25" cutting pads. You can use the smaller cutting pads for some parts, but not for the legs as they are longer than the shortest pads. 1) 1 Fat Eighth of skin tone fabric of choice. 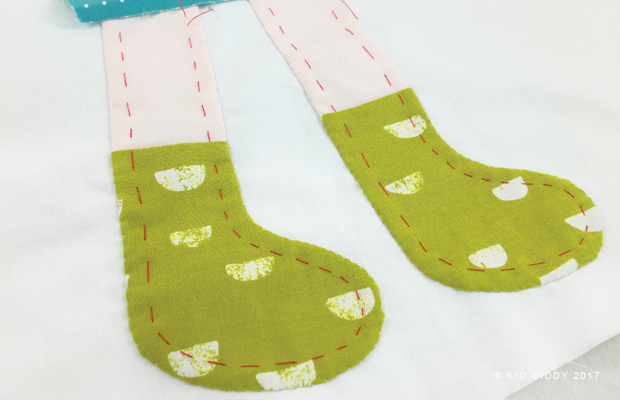 Depending on how you choose to sew your doll applique blocks, you may need less. (1 Fat Qtr will be enough for 2 doll blocks, or 1 stuffed doll). 2) Background Fabric (I used white) - 13" x 18" (or larger if desired). 3) Other materials will depend on the doll you wish to make (additional quilters cotton prints and wool felt for hair if desired). 4) Glue, Fine glue tip and Iron are helpful for glue basting your pieces in place. 5) Bright thread for stitch basting and matching thread for needle turn applique or raw edge applique. 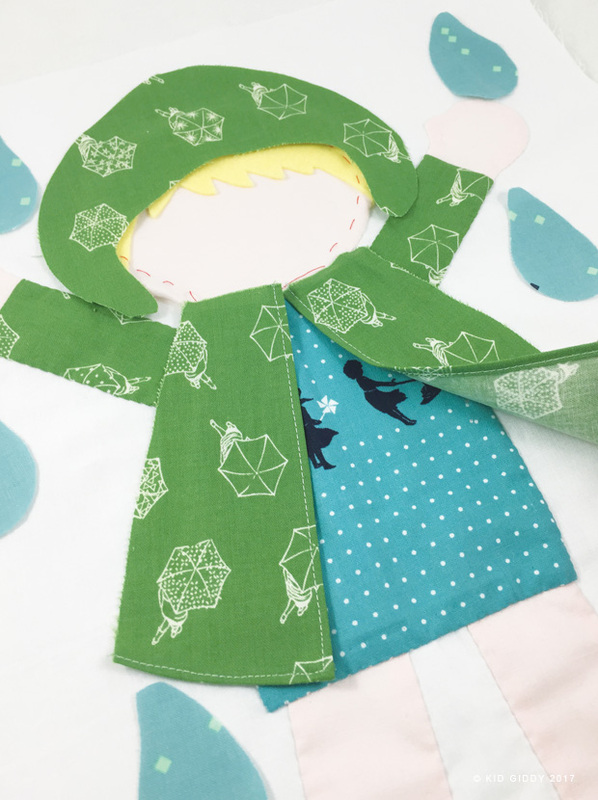 6) Create A Pattern paper for designing any extra pieces (as I did for the jacket, hood and raindrops). I have decided that I am going to needle turn all of my blocks. I just love the look of needle turn applique, but understand some others may prefer to raw edge applique. 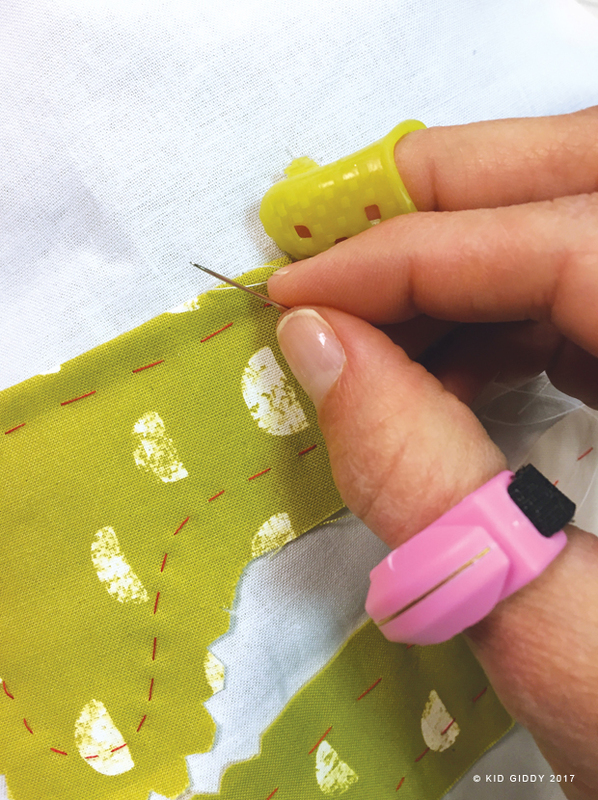 For those that also wish to needle turn applique, but haven't done so yet, I learned some great techniques from Carolyn Friedlander's CreativeBug class (not an affiliate link). If you are going to raw edge applique your blocks, you should use an iron on fusible stabilizer prior to cutting out your pieces on the die. Some steps may vary for raw edge appliquers but may not all be noted. Step 2: Place your doll pieces down on your block background as desired (mine are centered but your design may not work best if centered). Lightly glue baste each piece to be sure correct placement at first (as this can be moved around if necessary). 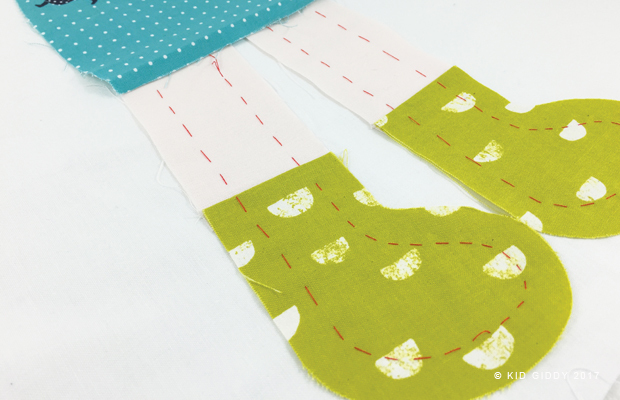 Using your brighter thread, stitch the pieces in place 1/2" away from the seam allowance. Clip and notch your curves (within the 1/4" seam allowance - not at, and not more than) to reduce the bulk around the edges (see pic below). Step 3: While I am needle turning, I love using the two products: the Dritz squishy Thimble grips, and the Thread Cutterz ring. I have bought many and have them all scattered throughout my house and may mom and sister's houses too. lol. Turn under your edges and stitch in place. Step 4: When sewing the arms in place, make sure they are going to still be under the body portion when the body is turned 1/4" under too. 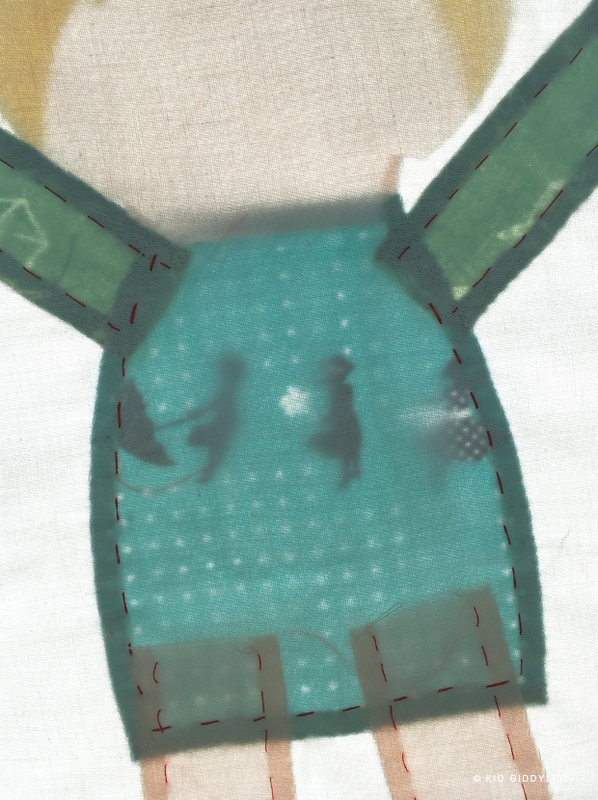 Note that the little thumbs are pretty awkward, but the stitch basting here really helps. Step 5: If you hold your block up to a light source, you can see one of my corners just barely makes it under the body edge (on the right hand side). I'll be sure to tuck it in the better on the next block. You may also see here that I have tucked the legs further up than normal. I wanted this one and all of mine to look younger and therefore shorter. Again, you can make your blocks as you would like, just be sure your blocks are all the same size in the end if you want uniformity, and that your blocks are large enough to accommodate your design. Step 6: Continue adding and sewing all of your detail pieces as you'd like, as I'm doing with the hood, jacket panels and raindrops to complete your block, staying within the 1/4" - 1/2" seam allowance. I've decided to leave the jacket pieces unsewn on the inside and bottom edges. This will allow her jacket to move around. If you decided to add this type of feature, double roll the edges, glue baste and top stitch to secure the hems. Step 7: Add a face as desired. This can be drawn with fabric markers, sewn with an embroidery machine (test on an extra face piece first), or hand embroidered (as I did for the first time ever below). I haven't decided how I am going to do their faces - I think I need some embroidery lessons or something - so the faces may come later. This one is from my Ballerina. Unplanned and noticeably so. But I loved her little heart lips and those eye lashes! Step 8: Once you have all of your pieces sewn, you can cut off the excess background from the back if you prefer, following the basting thread stitches. Be sure not to cut the front pieces and do not cut too close to the sewn edges (not shown). Remove the basting stitches. Because this tutorial and sew along was supposed to start in April, I'm already a month behind my own schedule. I will be posting two blocks in June, unless I get May's block done sooner. As you can see, this is a pretty casual sew along. If you have any questions about this tutorial, please leave me a comment below so I can answer it for all to see and benefit from as well. I would really love to see your doll blocks. Please be sure to tag #kidgiddy on IG. I will be opening my KidGiddy Group up again on FB for sharing as well after I return from Quilt Market.